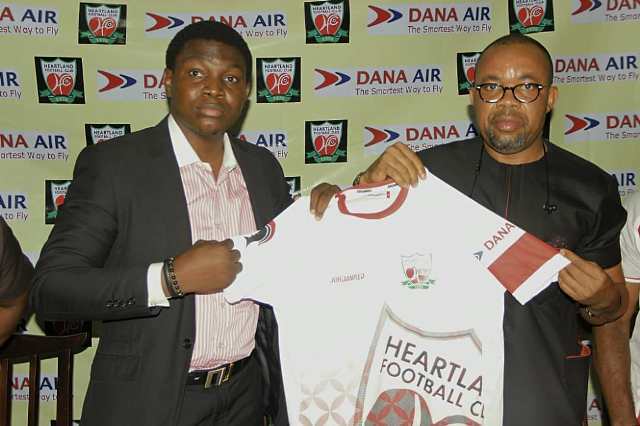 * (L-R) Media and Communications Manager of Dana Air, Kingsley Ezenwa and President of Heartland Football Club of Owerri, Chief Goodfaith Etuemena, during the contract extension signing of Dana Air's sponsorship of the club for another one year recently in Owerri. 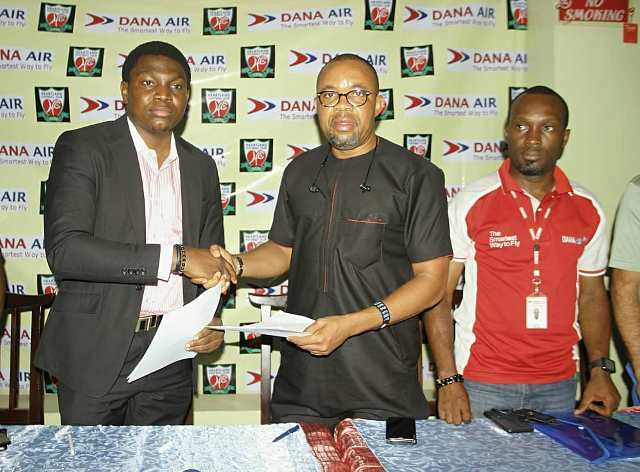 Dana Air has extended its Multi-million naira sponsorship deal for Heartland FC of Owerri, Imo state. The sponsorship which was first unveiled in 2018 was extended for the duration of the 2018/ 19 Nigerian Professional League (NPFL) Season at a short ceremony held at the conference hall of DE-Range hotel in Owerri, the Imo state capital. 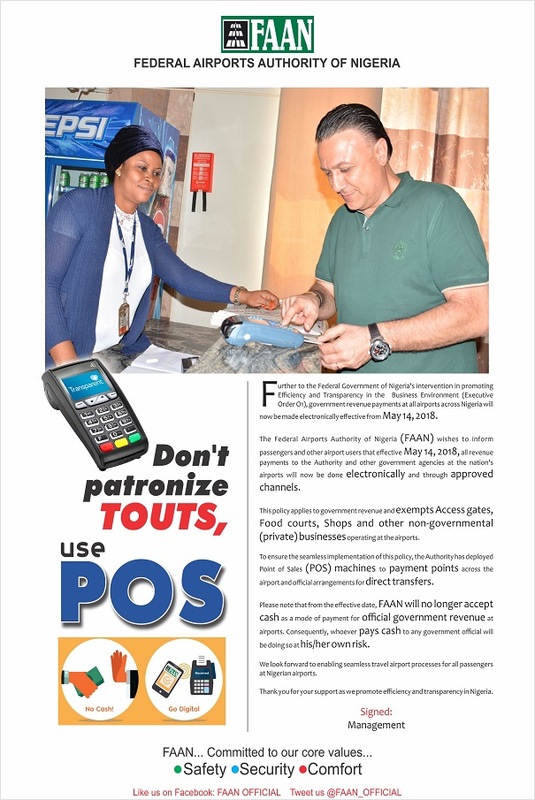 Recalled that Dana Air in 2017 entered into an airline partnership with the Imo state government to aid commercial and tourism potentials of the state, create jobs and provide convenient fares for guests traveling to and fro the state. 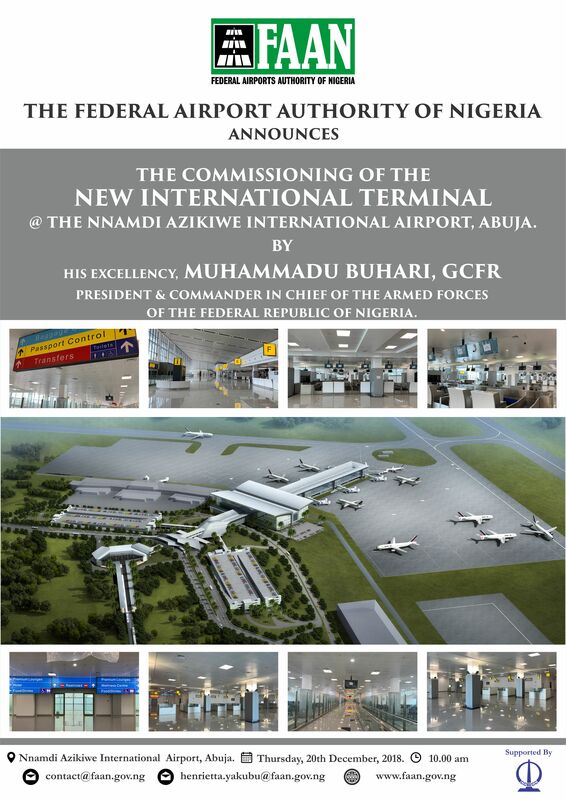 In 2018, the airline unveiled a huge sponsorship deal for both Akwa United FC of Akwa Ibom and Heartland fc of Imo state as part of its commitment towards sports development in the states and by extension the country. 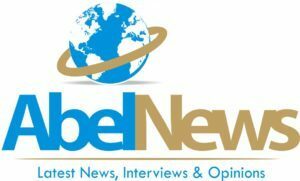 The airline says its sponsorship of the clubs will make the league more attractive and spur other corporate bodies to tow its line. This extension makes it 2 years sponsorship in a row for both clubs. 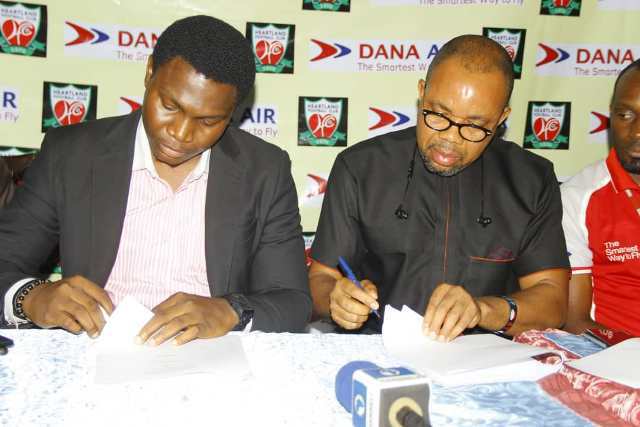 Be the first to comment on "Dana Air Extends Heartland FC Multi-Million Sponsorship Deal"